The North Wake Landfill District Park in Raleigh, North Carolina, doesn't look like a burial ground. The grass is green and fresh. There are wide paths where families take afternoon strolls. There are biking trails, clean playgrounds - even a picnic area. But Landfill Park used to be an actual landfill - where the bodies of over 25,000 unwanted shelter animals were dumped. James DeAlto Park visitors are met with a sobering message, etched in chalk by activist James DeAlto: "This landfill is the permanent resting place of over 25,000 unwanted shelter dogs," it reads. "If that bothers you, please adopt one today. #AdoptDontShop." It's a truth that photographer Shannon Johnstone knows all too well. 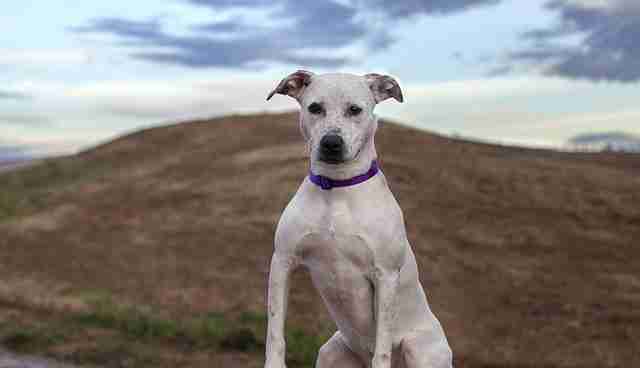 In 2010, she started photographing rescue dogs in Landfill Park. Landfill Park was an active landfill for 14 years, from 1996 to 2008. During this time, Wake County Animal Center (WCAC) brought its euthanized animals there to be dumped. Now, there are an estimated 25,666 dogs buried there. In the hopes of attracting potential owners, Johnstone snaps cheery portraits of the WCAC dogs who have the least time left - the ones most at risk of being euthanized. She calls them "Landfill Dogs." And in Johnstone's photos, the grassy hill, built on trash, serves as a chilling reminder of just how many unwanted shelter dogs have met a sad and avoidable fate over the years. But it doesn't have to be that way. Of the 153 dogs Johnstone has photographed, 132 have ended up in loving homes - and there are plenty more pups that need them. 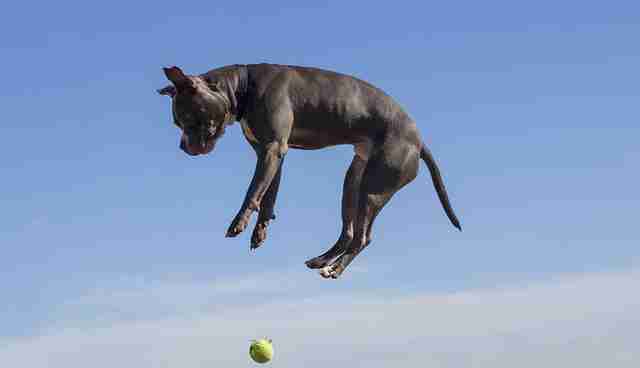 To check out adoptable pets in your area, visit Adopt-a-Pet.com. To learn more about the Landfill Dogs project, please visit its website or the Landfill Dogs Facebook page. Photographer and chalk activist James DeAlto, who created the chalk art above, is the founder of the Vegan Chalk Challenge - an ongoing initiative that encourages participants to leave positive messages in public spaces.